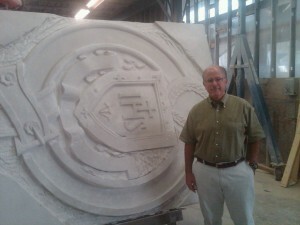 I, Ralph Petrillo, am the co-owner with my brother, Frank Petrillo, of Petrillo Stone Corporation a family owned and operated stone company located in Mount Vernon, New York. The company was started by our grandfather Antonio Petrillo in 1907 after he immigrated from Italy. Our work can be seen throughout New York City on the interior and exterior of some of the most recognizable buildings in the city including many stores on 5th Avenue, the MetLife headquarters, the Comcast building, the New York Life Building, and the Verizon building. Our company uses the latest technology alongside traditional stoneworking techniques to execute the highest quality stonework. 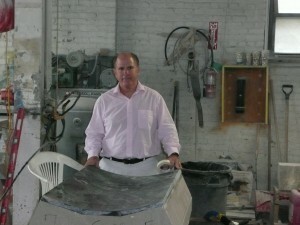 I started at Petrillo Stone in 1979 after graduating from the University of North Carolina with a B.S. in Industrial Relations. I grew up and went to school in Mount Vernon, New York completing high school at Riverdale Country School in 1974. 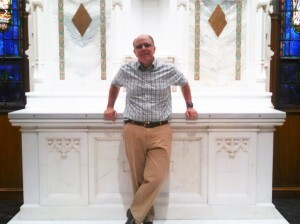 After I started at Petrillo Stone I went back to school and completed a MBA in Marketing at Iona College in 1983. That is a quick overview of my educational and work history. Today I continue to work at Petrillo Stone and now run the business along with my brother. We take great pride in the family business and tradition of providing New York City with the best stone cutting, craving, setting, and many more stone related services. In my free time I have a loving family and a number of hobbies that keep me busy. My wife of over 15 years, Mia, and I have two young daughters, Annie and Sophia. I am an avid tennis player and enjoy playing as much as possible. I am a member of a number of clubs including the NYAC, Southhampton Golf Club, and Little Peconic Yacht Club. I have been on the Board of Directors of the Gramatan Town Houses and also the Riverdale Country School Executive Alumni Board and Southhampton Shores. I maintain several personal and company profiles on various social media sites. You can find the links below. Be sure to check these out to stay up-to-date with the latest Petrillo Stone news!